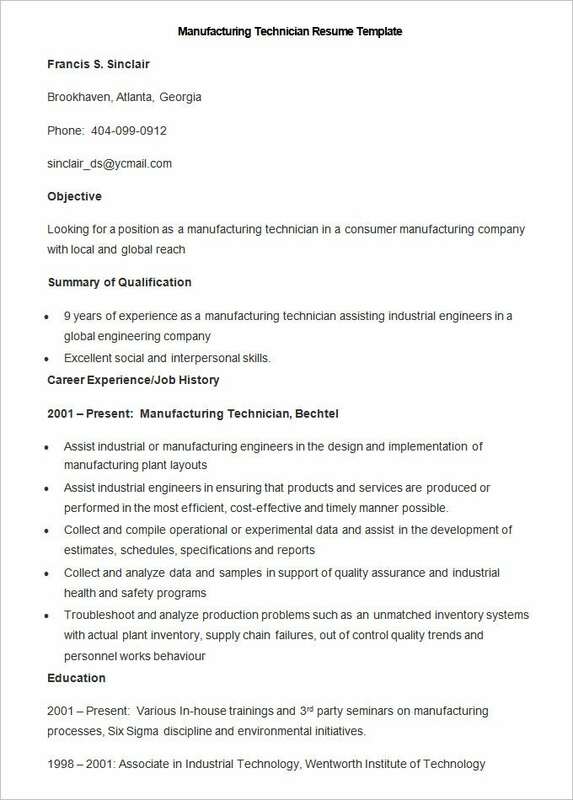 The manufacturing sector is one that will always provide a fertile hunting ground for job seekers. 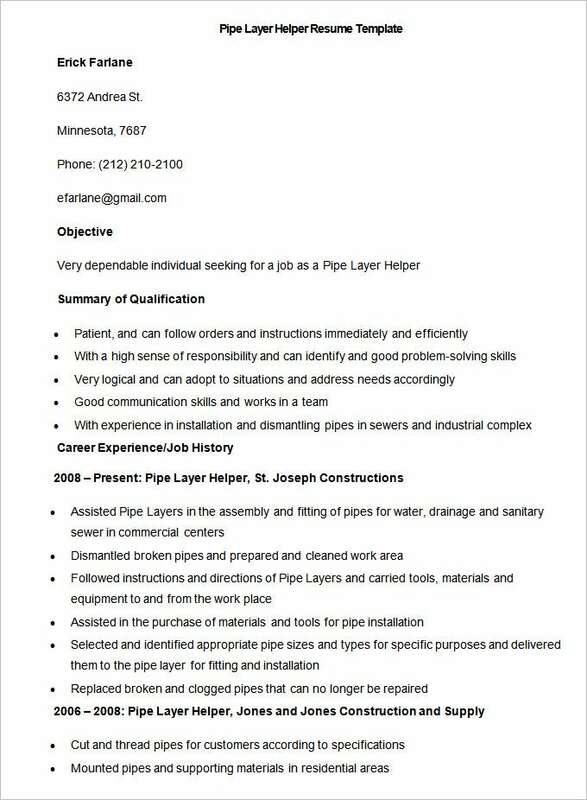 The sector has numerous jobs each with different roles and responsibilities along with different levels of operation. 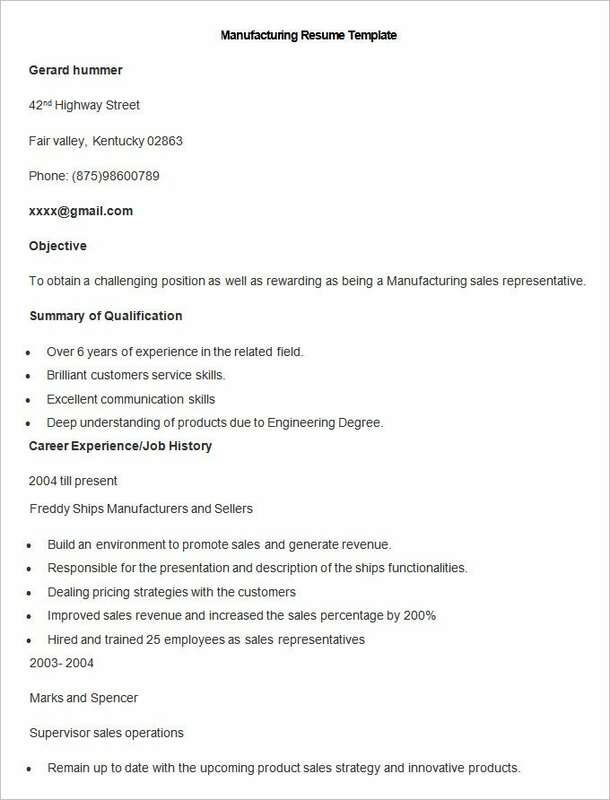 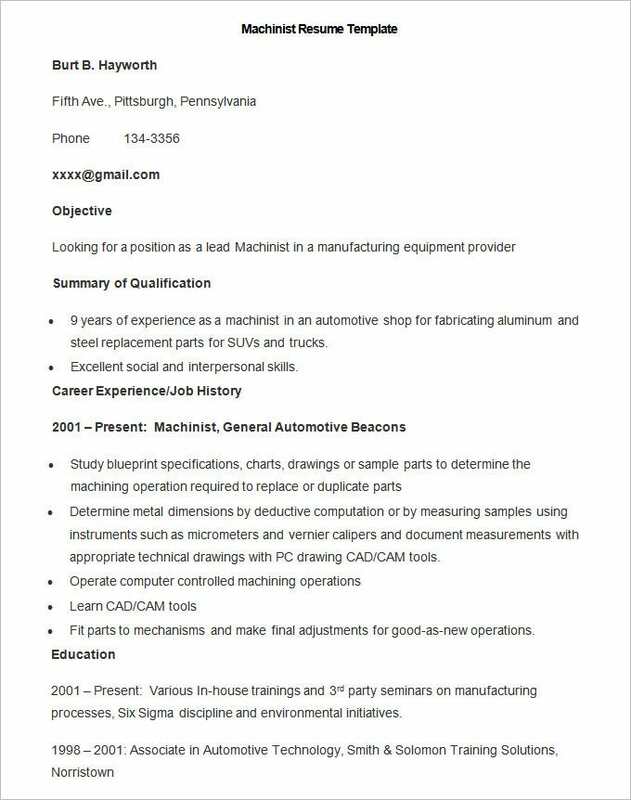 While each of the specific applications will have to mention a few unique things to it, all of the manufacturing Resumes will have other numerous things in common. 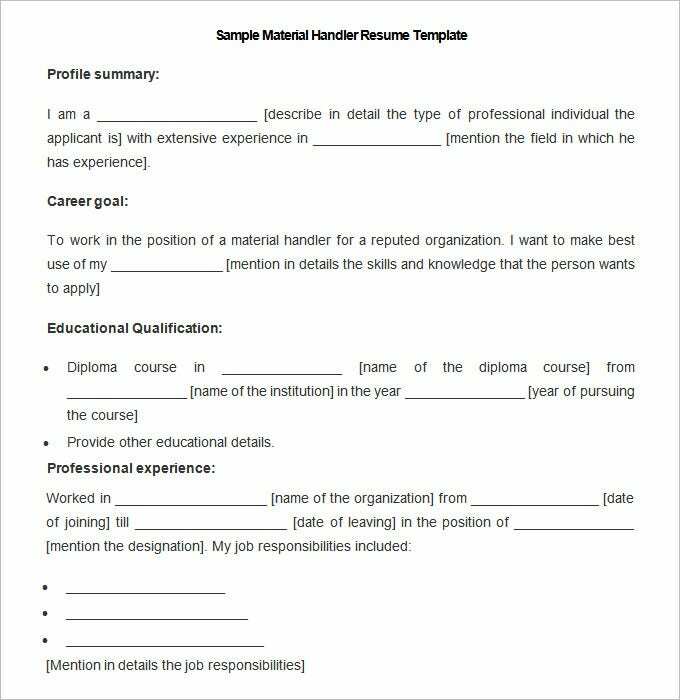 Every Experience Resume Template must include academic qualifications and the past job experiences but for the manufacturing sector a good portion of effort has to be channeled towards building an attractive profile. 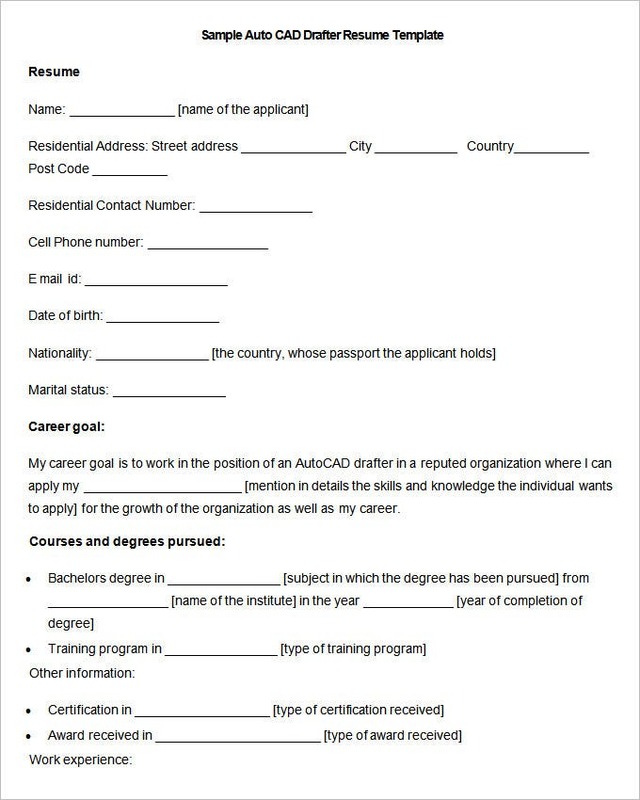 Such a profile in the document must highlight one’s abilities as it relates to the whole domain. 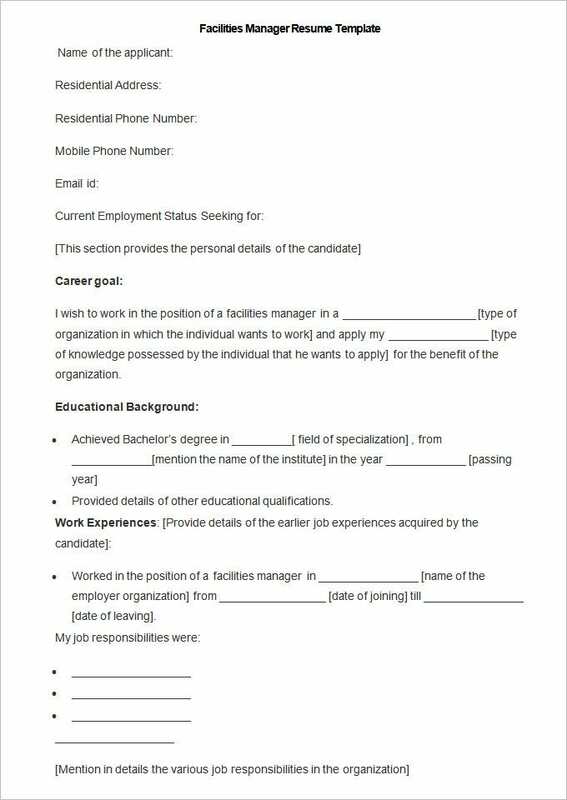 This free safety manager resume template highlights how to put in words your career goal without getting too elaborate, followed by a neat presentation of skill sets and professional experience. 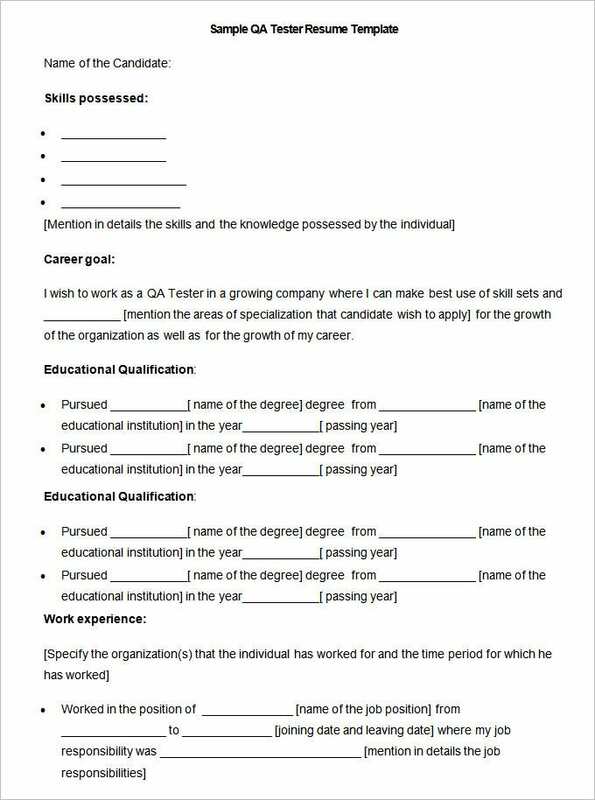 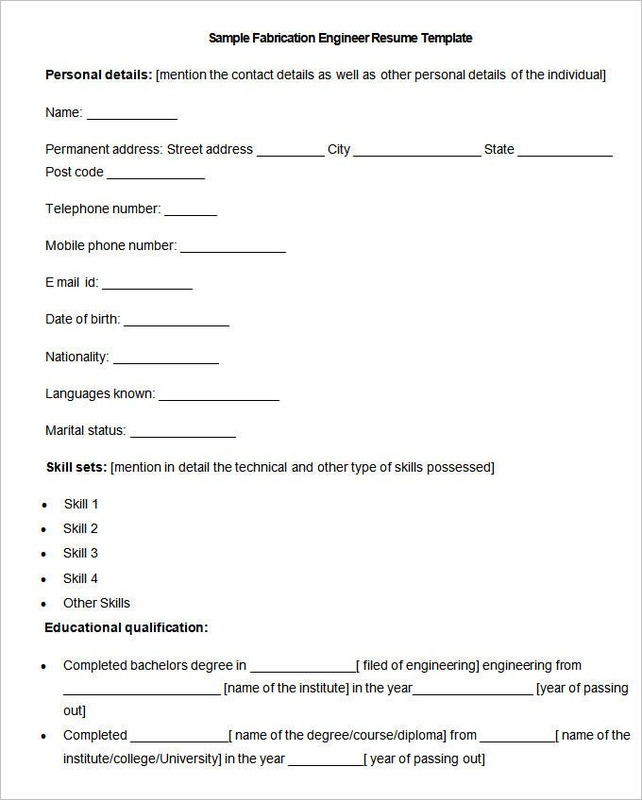 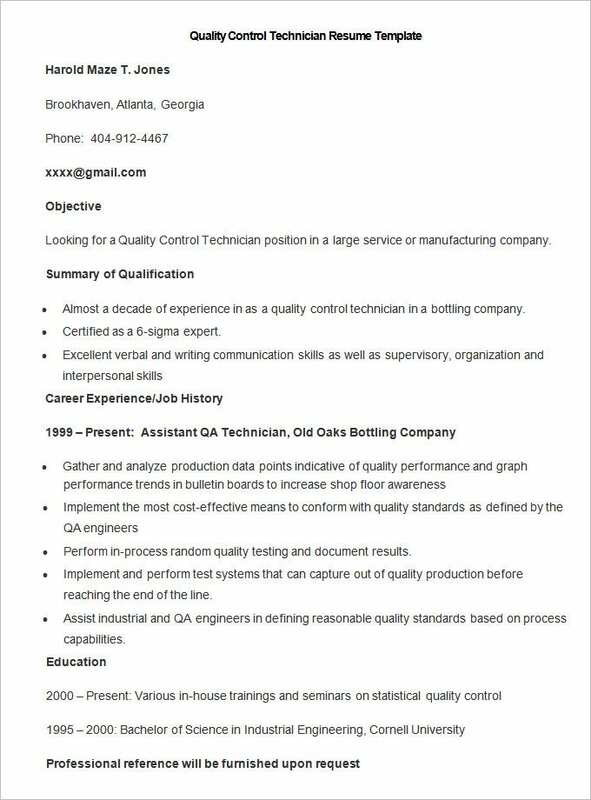 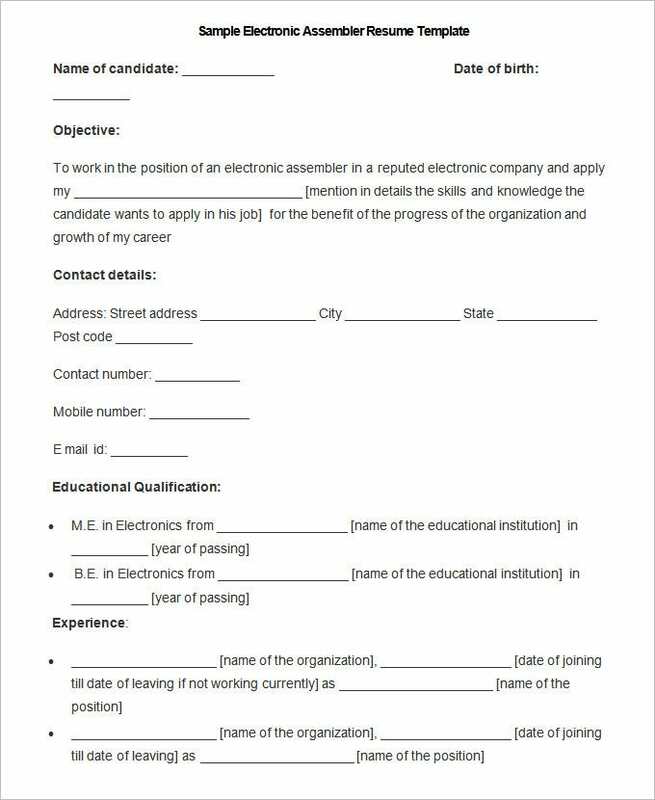 This QA Tester resume template sample does an effective job by focusing first on the most important points of a CV such as skills possessed, career objectives, educational qualification, work experience and then mentions the personal details. 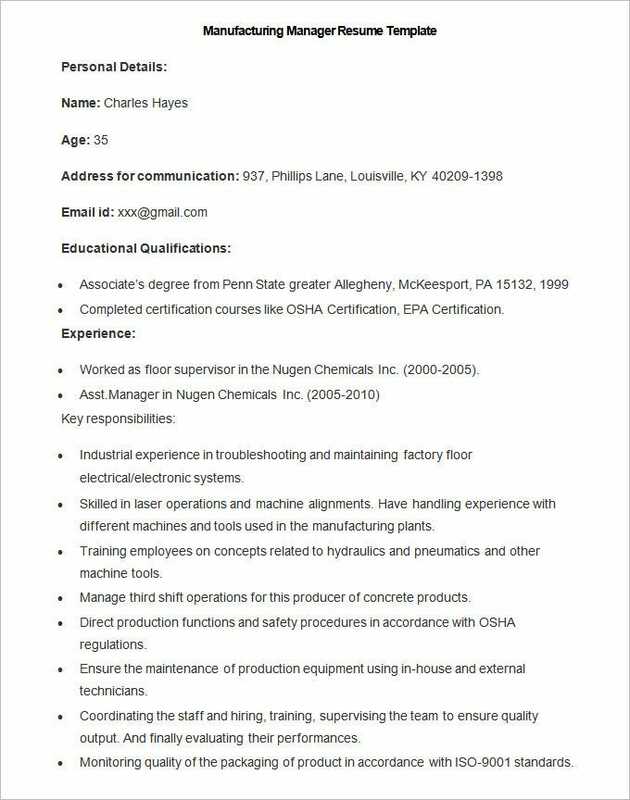 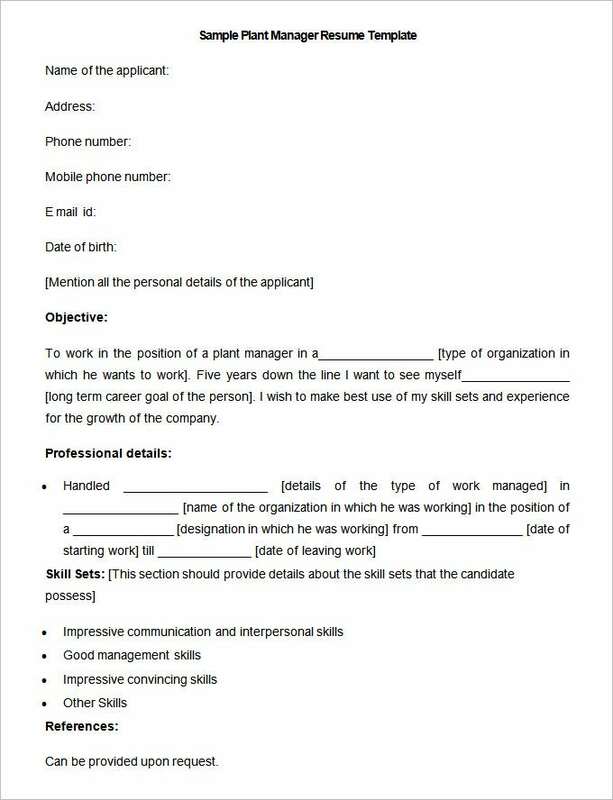 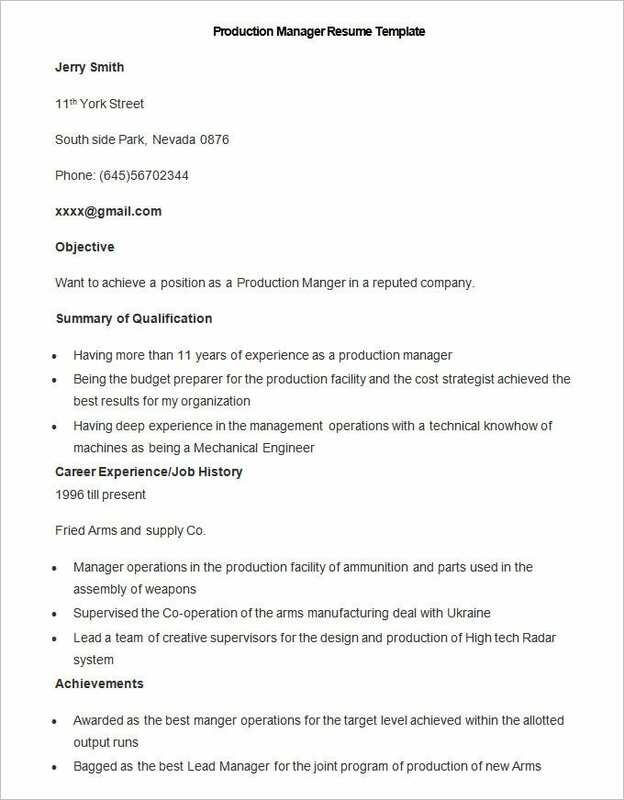 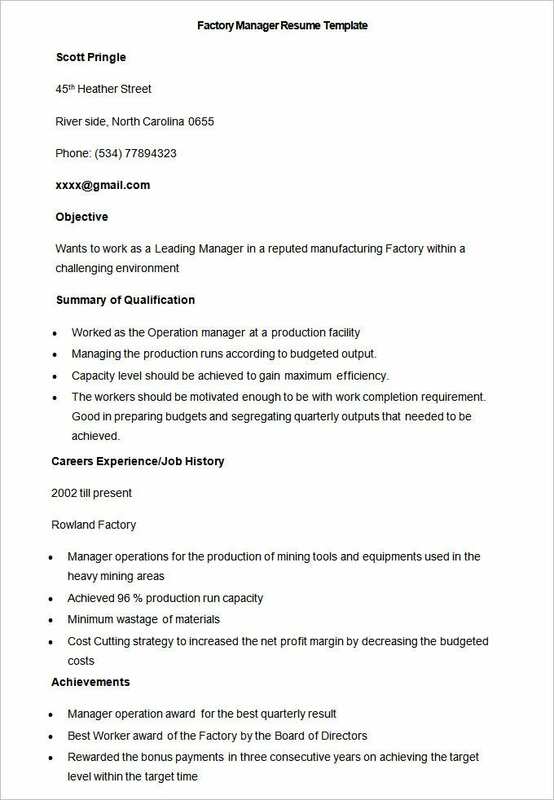 If you are a plant manager with lots of good references to enrich your CV, this plant manager resume template example would be handy for you given its separate space for References. 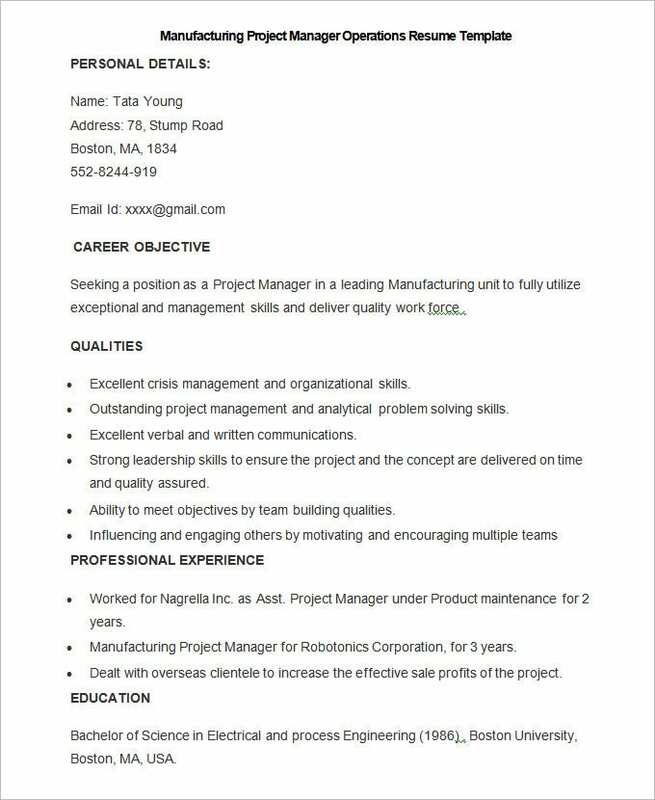 A good profile must closely link up with specific objective statements instead of giving a general display for the goals you want to accomplish. 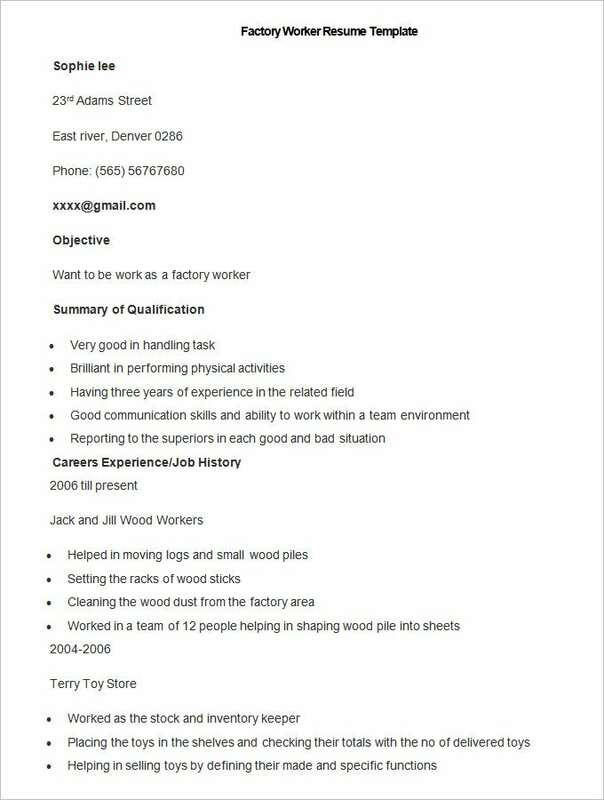 Such statements should include words that are job specific such as production, assembly skills and many more. 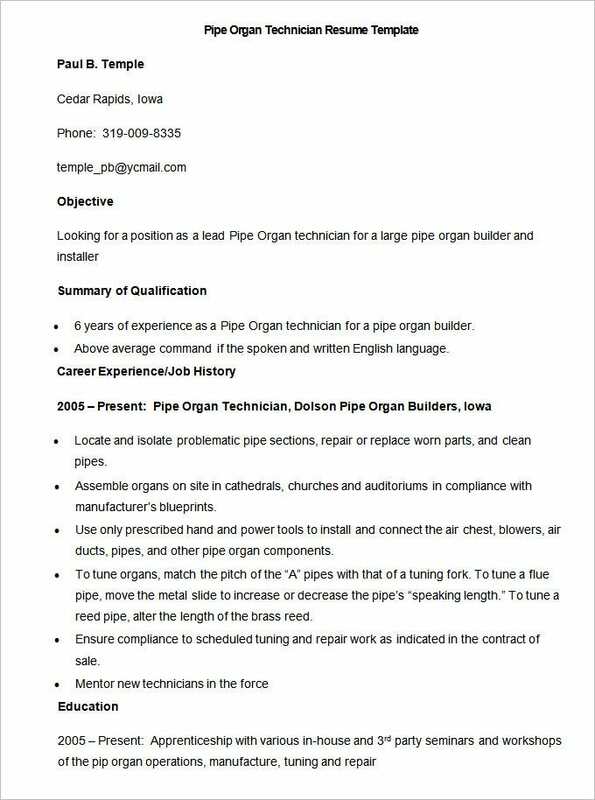 Keywords will prove catchy and avoid a possible overlook by recruiters so you must be careful to include them but more objectively rather than having them stashed in the document. 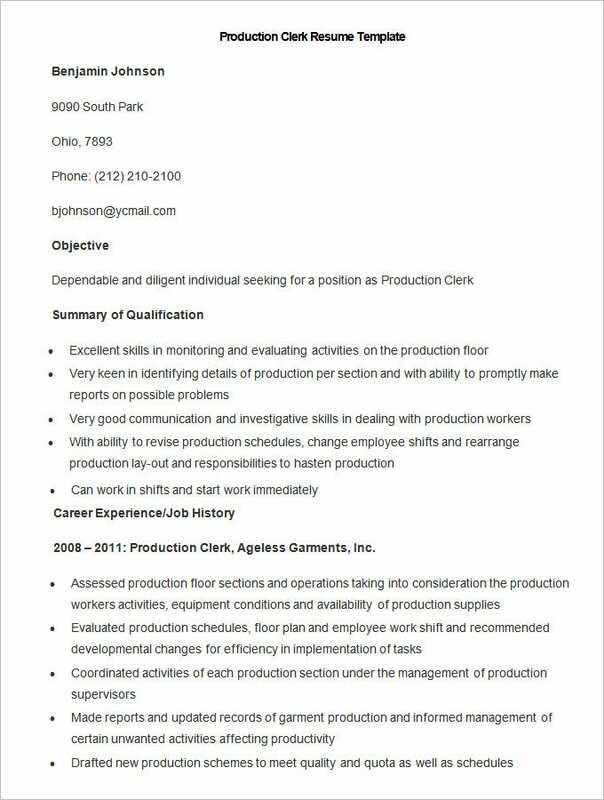 The past job experience for the production industry must contain production experiences or jobs related to it. 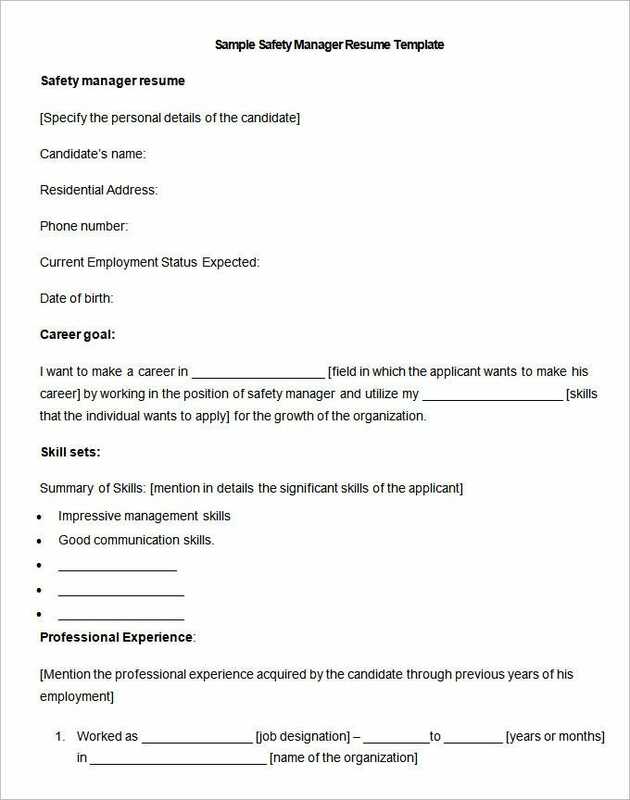 Such experiences will place you in the appropriate context for evaluation by recruiters rather than profiling work experience that is not in line with production; this has the effect of portraying you as an alien to the production industry and makes it difficult for recruiters to evaluate and rate your skills. 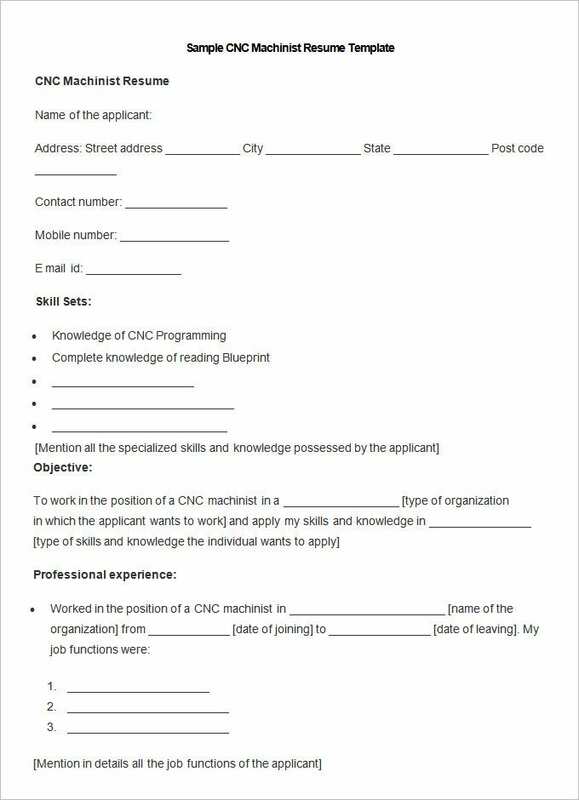 Such experiences must also include a mention of how your experiences steered your past working place and arguably demonstrate how they will add to your productiveness at your potential place of work. 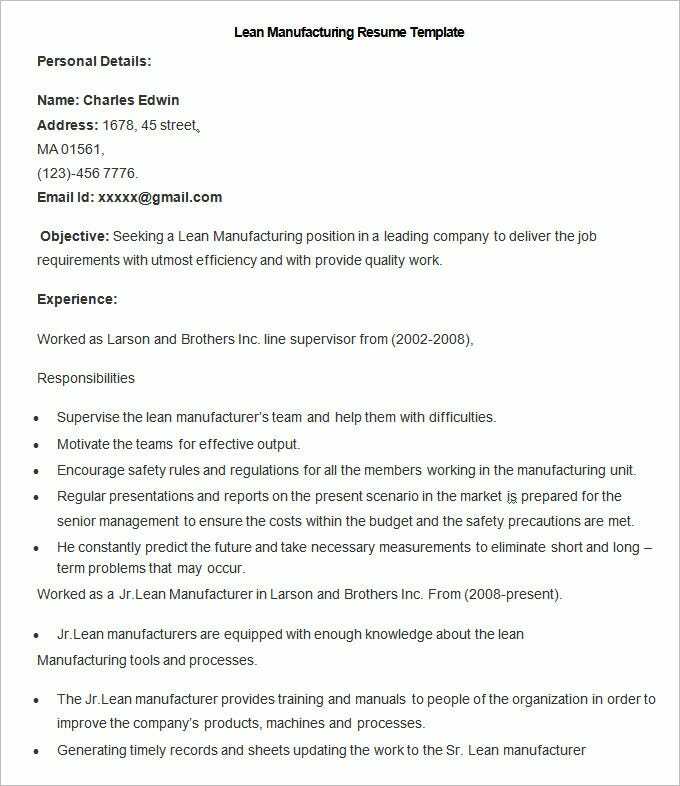 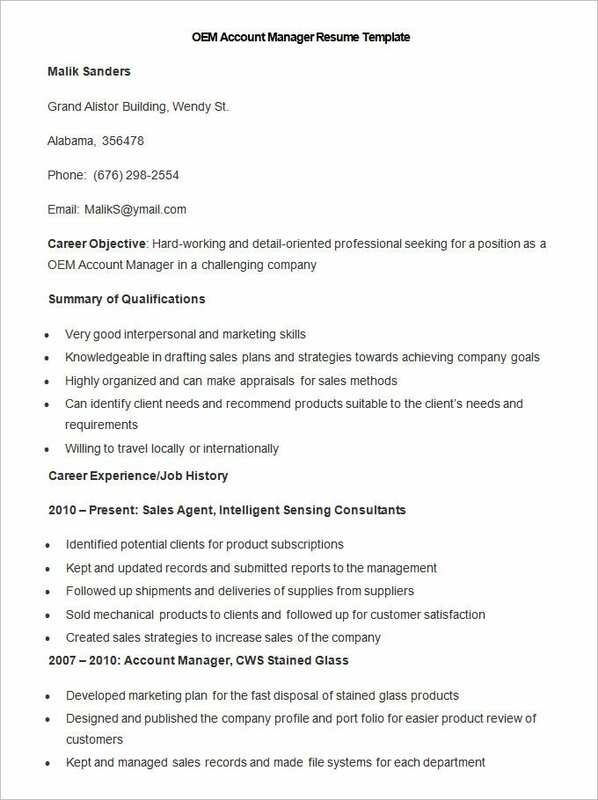 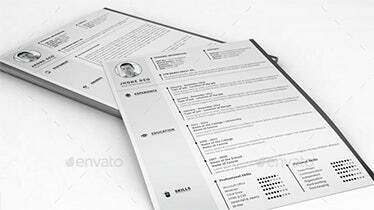 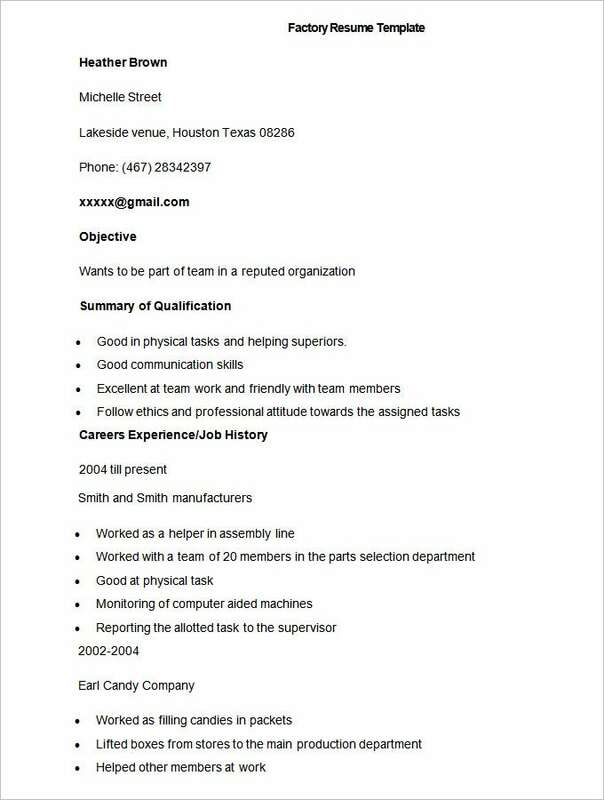 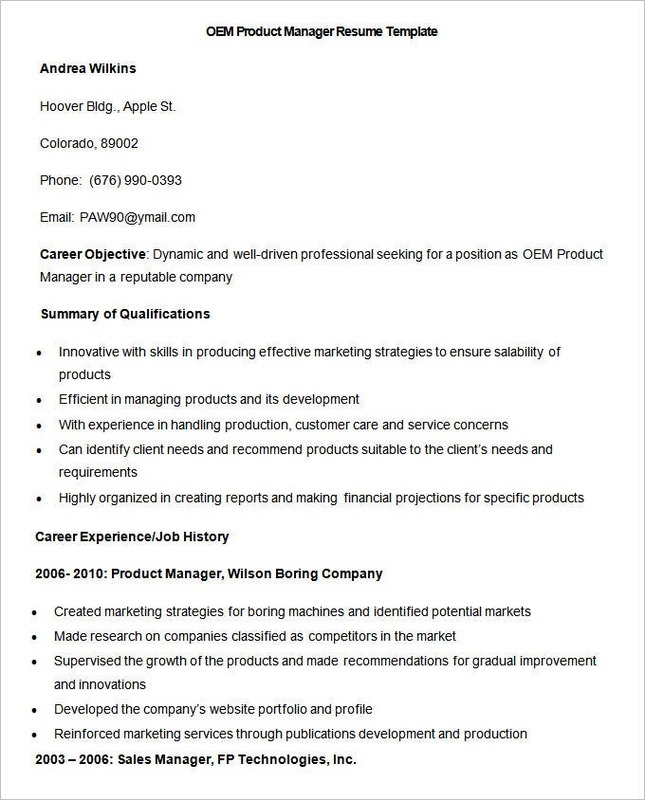 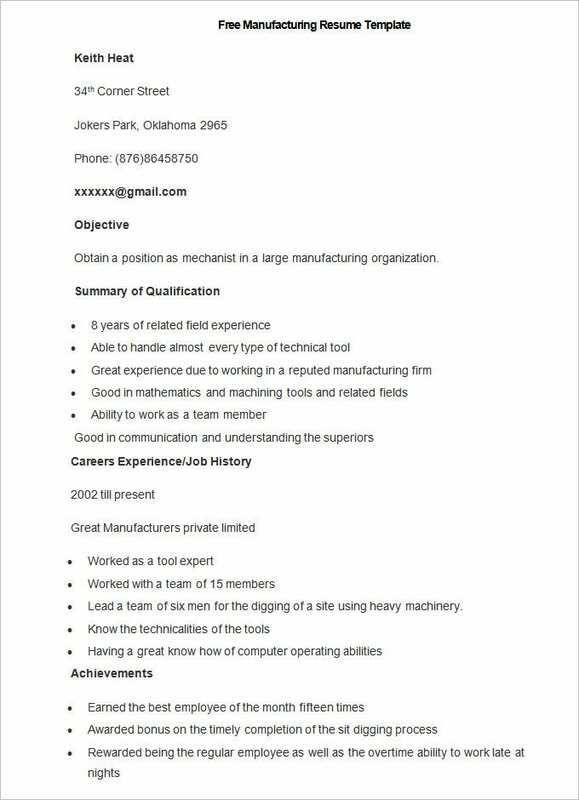 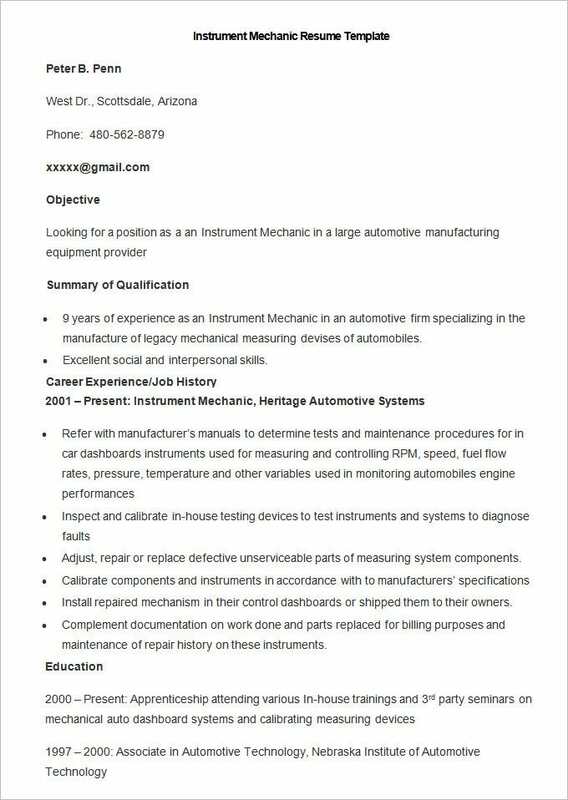 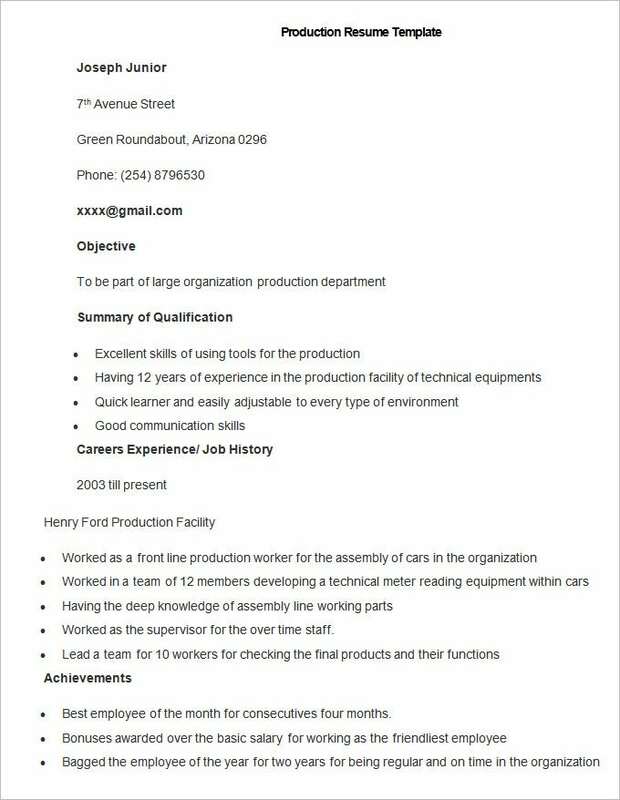 We have collected some Sample Manufacturing Resume Templates, hope these templates will help you.